From the eighth seed in the Western Conference to the Stanley Cup Final, the Nashville Predators have provided hockey fans with a wild ride through the 2017 NHL Playoffs. In doing so, the Predators have received contributions from just about everyone in the lineup en route to the franchise’s first chance to take home the ultimate prize in hockey. 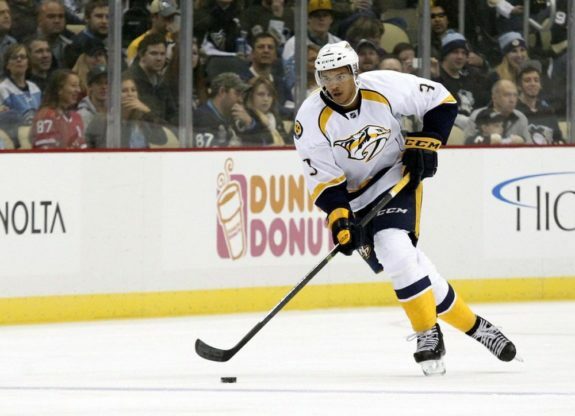 One player who has particularly stood out is budding star Filip Forsberg. His eight goals and 15 points lead the Predators this postseason. 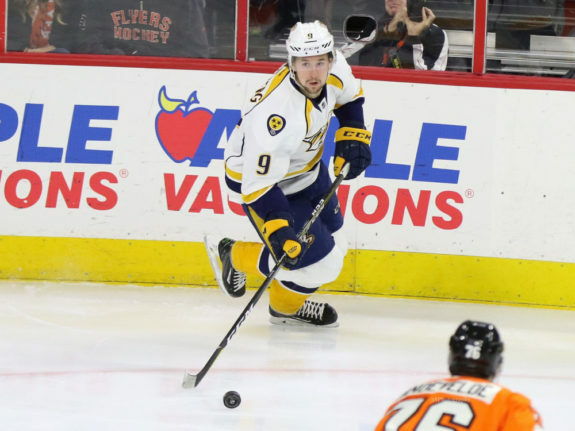 Forsberg is just one of general manager David Poile’s many great acquisitions that combine to make this Predators team. He’s taken over top line duties and has meshed well with Ryan Johansen and Viktor Arvidsson (before Johansen’s injury). 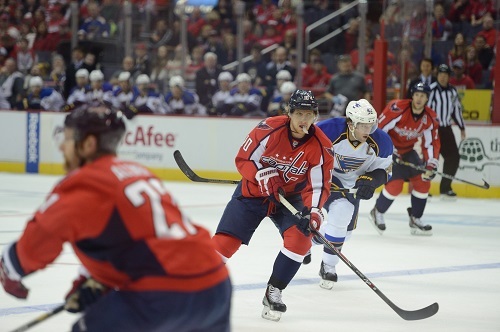 Meanwhile, Forsberg’s former team—the Washington Capitals—are at a crossroads following yet another disappointing end to their season. At the trade deadline of the lockout-shortened 2012-13 season, Poile and then-Capitals GM George McPhee pulled the trigger on the deal to bring Martin Erat to D.C. Yes, back then, it was more about Erat coming to D.C. to aid the Capitals playoff push, rather than Nashville acquiring a future star. Sitting at 17-17-3, the Capitals wanted to improve their team and make the playoffs. Alex Ovechkin had been shifted to the right wing by then-coach Adam Oates and a solid left wing was needed to play alongside the captain and center Nicklas Backstrom. With a revitalized Mike Ribeiro anchoring the second line with Marcus Johansson and Troy Brouwer on his wings, the Capitals just needed that one left winger to complete a powerful top-six forward group. At 15-14-8, Nashville did not like their postseason odds in a division with unbeatable Chicago, solid St. Louis, and clinging-to-postseason-life Detroit. They opted to sell at the 2013 NHL Trade Deadline and move out a couple of veterans: Scott Hannan and Erat. Packaged with center Michael Latta, the lifetime Predator headed east to D.C. In return, Forsberg headed out west to Nashville. The immediate reaction from the media was that the Capitals paid a steep price to acquire Erat—Forsberg was one of their top prospects at the time—but the veteran forward could be the last piece Washington needed. After the trade, the two participating teams went in opposite directions: the Capitals won 10 of their final 11 games, while Nashville only won once in 12 contests. Erat played in nine of the Capitals’ last 11 games and registered one goal and two assists alongside Ovechkin and Backstrom. Washington finished the year with a 27-17-3 record to win the Southeast Division and faced the sixth-seed New York Rangers in the first round of the 2013 NHL Playoffs. New York dispatched the higher-ranked Capitals in seven games and Erat missed the final three games of the series after a collision with Ovechkin and Derek Stepan. Erat failed to record a point in the first round exit. Forsberg joined the Predators after his season in Sweden finished up. In five games, the 19-year-old produced an assist before heading into the offseason. Because of their post-trade deadline slide, the Predators wound up with the fourth pick in the 2013 NHL Entry Draft. There, they selected Seth Jones – the top defenseman prospect in the draft. Had the Predators bought at the trade deadline instead, they would certainly have picked later and missed out on picking Jones. Consequently, the Predators would not have had the opportunity to move Jones to Columbus for Johansen – Forsberg’s (usual-)linemate and top center for today’s Predators. Washington could have missed the 2013 playoffs, repeated their rough 2013-14 season, and begun a rebuild. Nashville could still be floundering in mediocrity like a freshly caught catfish. Barry Trotz could be coaching somewhere else than in D.C.
Seth Jones could be patrolling Carolina’s blue line against Forsberg and the Capitals. Forsberg could have been traded to another team for a top left wing who could have stuck with the Capitals longer than Erat. At the time of the trade, Nashville got the better end of the deal. Years later, it looks like a heist. But take a look at what happened to the Capitals after the trade: they transformed from a .500-team to Southeast Division champions. And, with the exception of the 2013-14 season, they’ve been absolutely dominant ever since. Something about Erat sparked the team to go on their late-season run, rather than settle for a mediocre campaign. Nashville indeed won the trade, but both teams got what they wanted: wins for the Capitals and a top prospect for the Predators.